Poll: Do you think Enda Kenny's pension payout is excessive? Kenny is in line to receive a retirement lump sum of €378,000 in addition to annual payments of €126,000. ENDA KENNY HAS stepped down as Taoiseach and leader of Fine Gael. 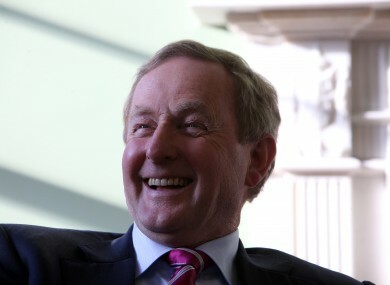 Whether or not Kenny will retire from public life at the next election is not yet known, although after 42 years in Dáil Éireann the prospect is a likely one. It has now emerged, however, that Kenny is set to receive a retirement lump sum of €378,000, in addition to annual pension payments of €126,000. But, given the ongoing wrangles over public sector pay, is this excessive? Or are the figures justified by Kenny’s length of service and status as an ex-leader of his country? We’re asking: Is Enda Kenny’s pension payout excessive? Email “Poll: Do you think Enda Kenny's pension payout is excessive?”. Feedback on “Poll: Do you think Enda Kenny's pension payout is excessive?”.